Twenty years after his iconic memoir Losing My Virginity, the world's ultimate entrepreneur is back with the rest of the story. 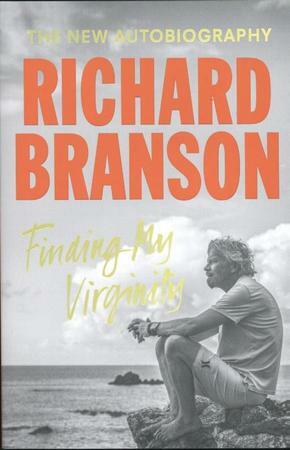 Richard Branson's Losing My Virginity shared the outrageous tale of how he built Virgin from a student magazine into one of the greatest brands in history. No challenge was too daunting, no opportunity too outlandish to pursue. And each new adventure started with five simple words: "Screw it, let's do it." Now, fifty years after starting his first business, Branson shares the candid details of a lifetime of triumphs and failures and what he really thinks about his unique life and career. Finding My Virginity is an intimate look at his never-ending quest to push boundaries, break rules, and seek new frontiers--even after launching a dozen billion-dollar businesses and hundreds of other companies. As he led Virgin into the new millennium, Branson fearlessly expanded the brand into new categories such as mobile, media, fitness, and banking and into every corner of the globe--all while preserving its iconoclastic, scrappy spirit. He even brought Virgin into space with Virgin Galactic, the world's first commercial spaceline. Finding My Virginity takes us behind the scenes of the incredible brains, heart, and sacrifices that have gone into making private spaceflight an imminent reality--even after the biggest crisis Branson has ever faced. But this book is much more than a series of business adventures. It's also the story of Branson's evolution from hotshot entrepreneur to passionate philanthropist and public servant, via Virgin Unite's environmental and health initiatives and through the Elders, a council of influential global leaders. And it's the story of his personal quest to become a better son, husband, father, and "grand-dude" to his four grandchildren. Featuring a supporting cast that includes everyone from Bill Gates to Kate Moss, Nelson Mandela to Barack Obama, this is the gripping account of a man who will never stop reaching for the stars, in more ways than one. 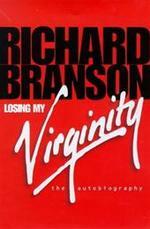 Find out how Branson did it for the first time--all over again.